Liam Neeson narrates an account of the Dublin Easter uprising of 1916 as seen through Irish eyes. Liam Neeson narrates an account of the Dublin Easter uprising of 1916 as seen through Irish eyes. 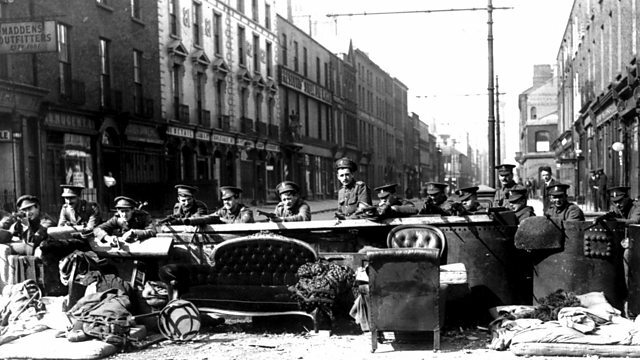 Using archival narratives of the participants, together with contributions from academics from the US, Ireland and Britain, the film puts the uprising into the context of hundreds of years of Anglo-Irish history, reveals the rebellion as its participants experienced it, and assesses its tragic cost in lives, both civilian and military, then, and in the decades that followed.